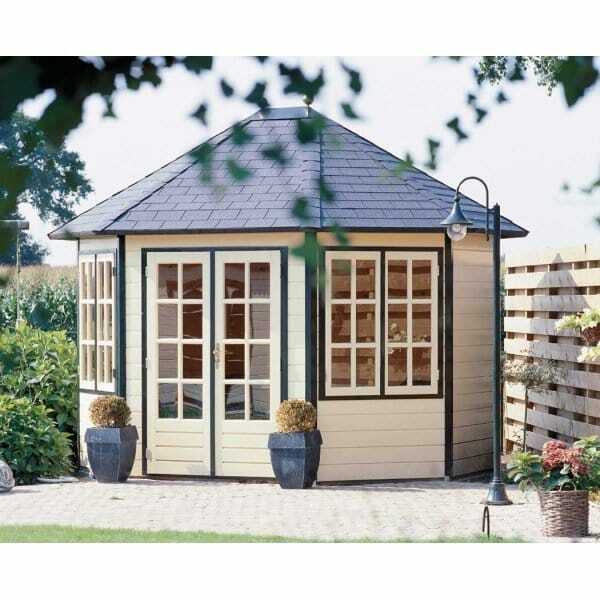 Lugarde Prima Sebia Pavilion Summer House: The Lugarde Prima Sebia Summer House is a mid-sized Extended Octagonal Pavilion style summer houses with footprint of 3.5m x 3.0m. It is part of the Lugarde Oval Summer House range. Lugarde Prima Sebia featuring a Bitumen Felt Shingles Roof sections which are delivered ready assembled for speedy building is quite simply one of the most attractive summer houses in the Lugarde Range!